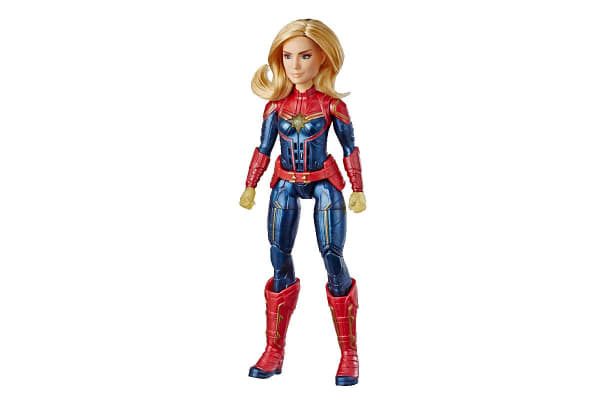 Suit up to protect the universe. When the universe is in need of a skilled and confident leader, there is no better hero to take command than the Marvel Captain Marvel Photon Power FX Electronic Action Figure! 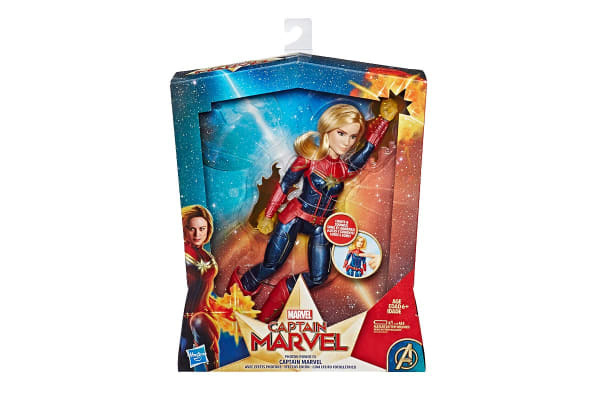 Imagine Captain Marvel blasting into action with the Marvel Captain Marvel Photon Power FX Electronic Action Figure – including a super hero outfit, accessories and rooted hair. 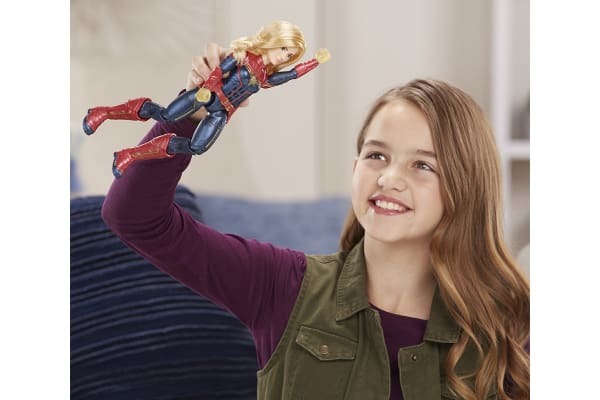 With 11 points of articulation, kids can put their doll in dynamic poses and move her into action as she lights up and makes exciting sound effects.